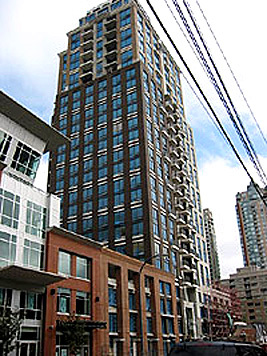 Popular Domus is in the heart of Yaletown and close to all restaurants, shops and bars. This building is timeless and has a very sleek exterior look. Domus units have granite countertops, Grohi fixtures and Bosch stainless steel appliances. The amenities in the building include guest suite, resident manager, on-site caretaker, social room/lounge, gym, yoga room, sauna & steam room, storage, secured underground parking and visitor parking.